Rebecca’s latest novel, Esther, was published by Simon and Schuster and chosen by Library Journal as one of the best fiction books of the year. 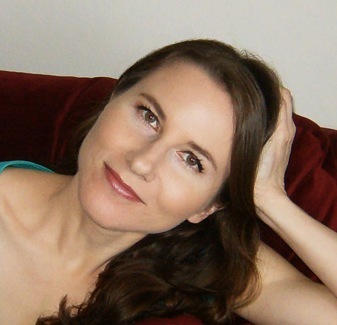 Rebecca holds a Master of Fine Arts degree in Fiction Writing from Washington University in St. Louis. Her writing has won an Associated Writing Programs Award, a Loft Mentorship Award and 2013, 2016 and 2019 Minnesota State Arts Board Grants. Her stories have been published in numerous journals and her reviews of books and movies have appeared in The Star Tribune, The American Jewish World, and elsewhere. Her personal essay, “Safety,” is a Notable Essay in Best American Essays. Rebecca’s debut novel, Sinners and the Sea, is the story of Noah’s Ark told through the voice of his nameless and accursed wife. Available from Simon and Schuster and other major retailers. Along with other authors including Anita Diamant, Michael Cunningham, Joyce Carol Oates, Russell Banks and Ron Hansen, Rebecca is featured in Truthful Fictions: Conversations with American Biographical Novelists. I like what you guys are up too. Such clever work and exposure! Keep up the very good works guys I’ve incorporated you guys to my own blogroll. Hello, i believe that i saw you visited my site thus i came to go back the want?.I’m trying to find issues to improve my site!I guess its ok to use some of your concepts!! Thanks for finally talking about >Rebecca Kanner | Novelist, Simon & Schuster <Loved it! Remarkable! Its actually amazing piece of writing, I have got much clear idea regarding from this article. Fabulous, what a weblog it is! This blog gives helpful facts to us, keep it up. Very good site you have here but I was curious about if you knew of any discussion boards that cover the same topics discussed in this article? I’d really like to be a part of group where I can get suggestions from other experienced individuals that share the same interest. If you have any recommendations, please let me know. Thanks a lot! Hi it’s me, I am also visiting this site daily, this web page is in fact pleasant and the viewers are truly sharing pleasant thoughts.